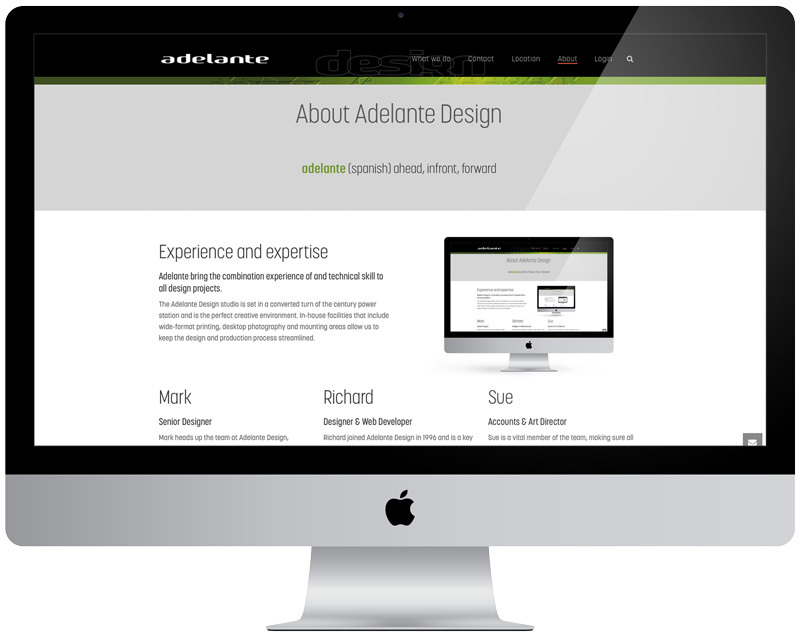 Adelante bring the combination of experience and technical skill to all design projects. The Adelante design studio is set in a converted, turn of the century power station and provides the perfect creative environment. Located just a few minutes walk from Chesham town centre, with easy rail and tube links to London Marylebone, and convenient road links to Amersham, Beaconsfield, High Wycombe, Berkhamsted, Hemel Hempstead, Watford, London and The Thames Valley. In-house facilities include state-of-the-art design hardware, the latest suite of design software, wide-format printing, with dedicated mounting and finishing area and desktop photographic studio, all of which allow us to streamline the design and production processes. Mark, with partners Richard and Sue, founded Adelante in 1996. Communication is at the heart of all Mark’s designs, his wide and varied experience provides a measured view to the creative output of Adelante. 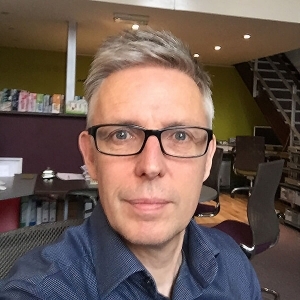 In the industry for over 25 years, Mark has huge experience in the design of all print based disciplines, product packaging, exhibition design and is an experienced art director. Richard is a key member of the team as an expert in branding, digital and website design. Richard’s wide skill base takes in everything from Photoshop retouching and illustation to email marketing and website design and user experience. Richard’s technical expertise allows Adelante to produce dynamic designs utilising the latest design software. Sue is a vital member of the team, in control of the company’s financial operation. 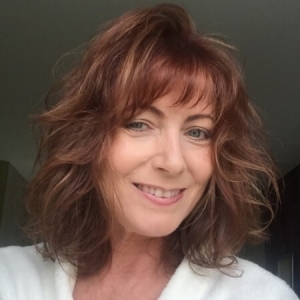 With a background in event management and sports marketing she brings strong organisational skills to the Adelante partnership. Sue is just as at home writing copy or launching an exhibition stand as she is styling models or dressing a set for a clients photo shoot.